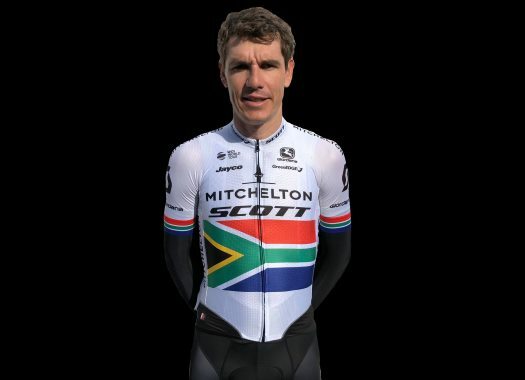 Mitchelton-Scott's Daryl Impey has taken the South African road title at the National Championships for the second time in a row. The winner of the Tour Down Under was not the favourite to take the title as he was the only Mitchelton-Scott rider to start in the race while Dimension Data had seven riders in competition. Impey defended his position the entire race, led the chase and attacked at the last climb to claim the victory at 25 seconds from Ryan Gibbons. "I just wanted to fight for it," said the South African. "Win, lose or draw. I wanted to go all in. Even though they threw everything at me I rode intelligently and used my experience because I have been in this situation many times. "I didn't think I would be taking the jersey back to Europe just because I had the odds against me, just shows you it is never over till it's over. I am backing myself more and it is a great step forward in my career. I had massive support from my family and friends. History made again, I love doing the double!" Dimension Data's Ryan Gibbons, Stefan De Bod, Reinardt Janse Van Rensburg and Nic Dlamini completed the top five in the competition. This is the eighth victory for the men's team of Mitchelton-Scott in 2019 that include Impey's time trial title and his victory at the Tour Down Under, the Australian time trial title of Luke Durbridge, the victory at the fourth stage of the Jayco Herald Sun Tour of Nick Schultz, and the wins of Matteo Trentin and Adam Yates at the Volta a la Comunitat Valenciana.